A destroyed room inside a distressed Sacramento Property. Preparing to sell a distressed property seems like a daunting task if you don’t know where to begin. However, there are some ways to shed light on the matter and move you in the right direction. Once you know how to sell a distressed property in Sacramento, your success will be liberating! Follow the tips and tricks of the trade to successfully market and sell a distressed property. Most people looking to buy a home are not looking for a distressed property. Even folks comfortable with a fixer-upper may not have the ambition or experience to take on a true distressed home project. Chances are, you’ll find an investor or someone flipping houses that will be looking for your property. Knowing who your audience is will help you focus your attention on the right kind of buyer, ultimately helping you know what to expect. What potential does your property have? What positive attributes can you accentuate? Using the natural potential of the home is your selling point. You want to help your buyer envision living in the home. Is there a great view? Play it up! Lead the buyer to the window or deck that really showcases the spectacular view- talk about what time of day it’s most enjoyable. Is the kitchen spacious? Then place a fruit basket on the table and bake some cookies in the oven to set on the counter, filling the room with inviting smells. Perhaps there’s a lovely front porch that you can create a homey scene with using a few chairs, small table, and a pitcher of tea. Every property has the potential to be someone’s next home. Imagine what you would do if it was going to be your own home, and use your ideas to inspire your buyer. Show how this property will be amazing for the right person. It’s easy to get caught up in thinking everything needs to be redone in a distressed property. And maybe it does! However, spending money on repairs may lead to discovering more problems, more repairs, and draining your bank account. Your best bet is to focus on key selling points. Kitchens, for example, tend to be focal points. Don’t go overboard though – focus on some inexpensive improvements or repairs that allow the buyer to see the potential, considering they may opt to customize it to their own liking later. Not all improvements will give you a return on your investment when you sell the property, so be selective. You may or may not know all the repairs needed on your property. Your safeguard will be to make sure you have a very detailed contract written between you and the buyer. The details in the contract should be thorough and carefully worded, to protect you from the buyer demanding money late for unexpected repairs. You want the terms of your contract to clear yourself of any responsibility beyond what’s already been discussed and agreed upon. Consider using the term “as-is” in your selling agreement to indicate you will not be making further concessions or repairs for the buyer. Be realistic. If you want to sell a distressed property in Sacramento, know your market and what your potential buyers are willing to pay. Compare your property with others in the area and consider what would be a fair and comparable selling price. Keep in mind that “potential” will not translate into “value” when it comes to pricing. 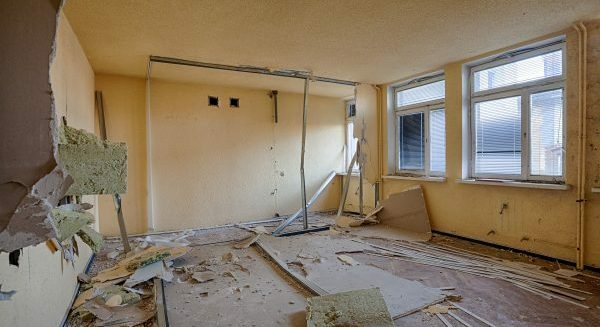 Part of the appeal of buying a distressed property is using the lower cost as an advantage, giving the buyer a cushion to fix it up the way they want. Want to learn more about selling your Sacramento property fast for cash? Learn about our fast Sacramento home buyers here.